Your WarmAir space heating system was designed to be used safely without supervision. As soon as the air temperature is equal to or greater than that of water, the condensation is stopped naturally! Bathe in peace, its quiet operation will not disturb your swimming pleasure. 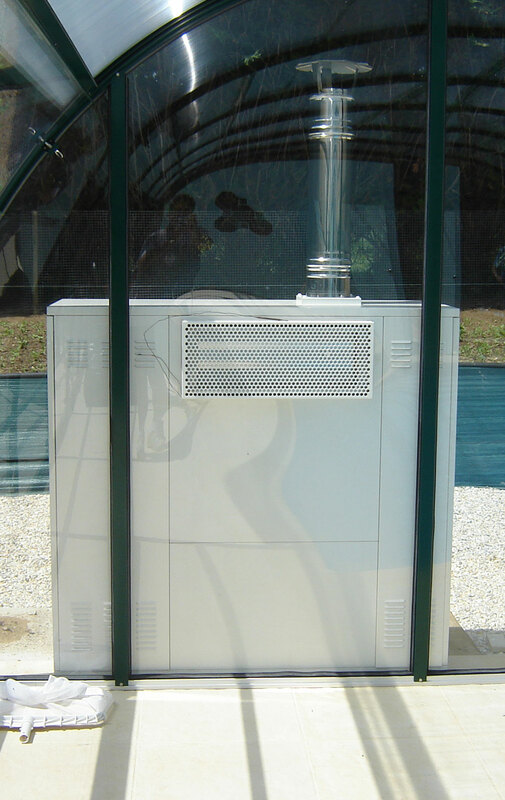 The WarmAir space heating unit comes in choice of three fuel versions: oil, natural gas or propane. Choose energy source that suits you best. Oil units can be supplied from its in-built tank or supplied from a larger oil storage tank. Fittings and machine body completely made from stainless steel. 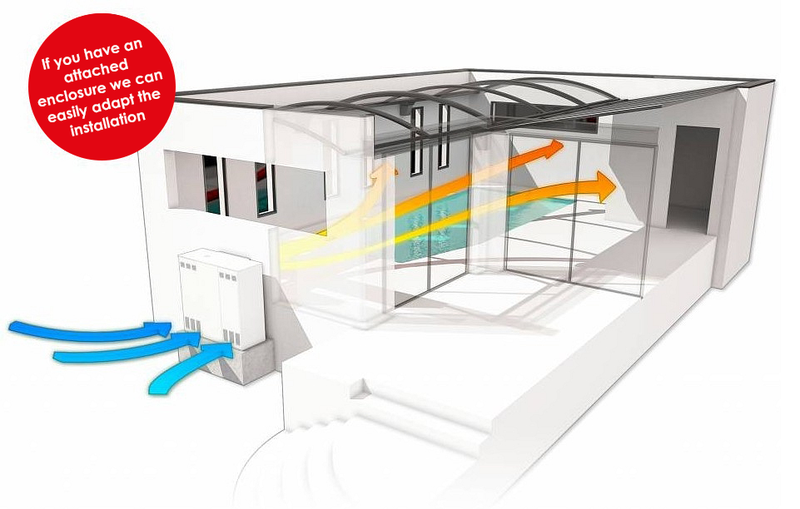 It’s quiet operation and automatic temperature control gives great ease of use. You will go from 0° to 35°C temperature rise in 15 minutes to enjoy your swimming in a healthy and pleasant atmosphere. For oil unit the winter maximum consumption is 2.8 l/h or 20 hours of use. For midseason is 1.5 l/hr of fuel oil or 40 hours with built-in oil tank!